Being a newbie in modern cloth diapering, this is one of the few brands I came across among cloth diapering moms here. If you want to try pocket diapers and on a budget like us, Autumnz is actually not bad choice to begin with. I am looking forward to add few more in my collection after trying these eye candies to our Baby. There are other pocket diapers brand like bum genius, fuzzi bunz, happy heinys and etc. Since I will probably using them for night time diapering, might as well spend less on the diaper cover and invest more on the inserts. 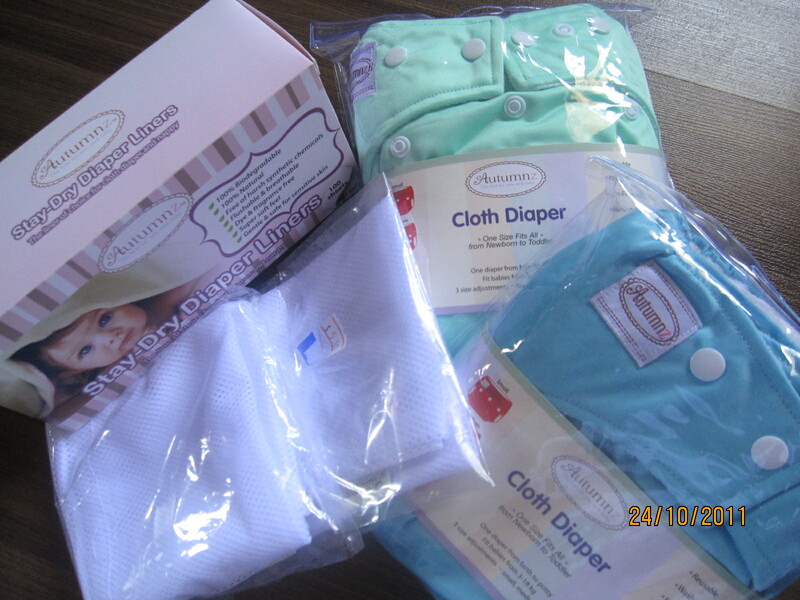 Although AI2 cloth diapers are a tad bit more expensive, same principle applies as we will need less cloth diaper cover and more of the inserts during the day. I hope I will be able to keep this in mind, or else, there goes my attempt in saving money although I will probably be contributing more by saving the mother earth. Lol! Note: The instructions can also be found on the packaging which is a plus point. My opinion: I prefer it longer as you can fold at the front (for front wetter/ baby boy) to increase its absorbency. For more information, you can check Autumnz site [here].